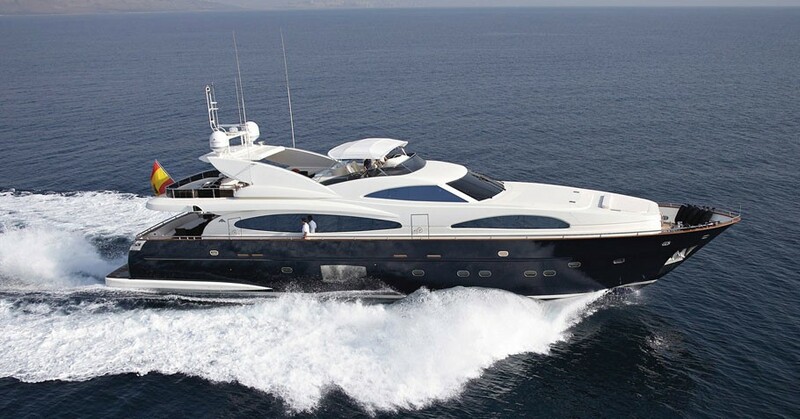 Motor yacht KIRIOS 102 GLX is a 31 meter 102 (foot) charter yacht built by ASTONDOA . 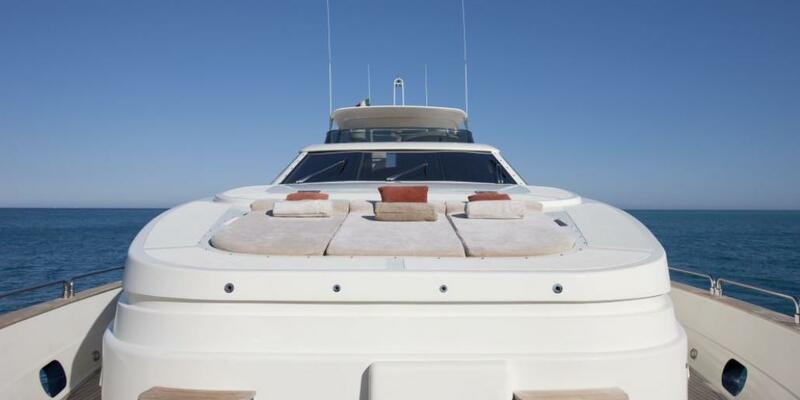 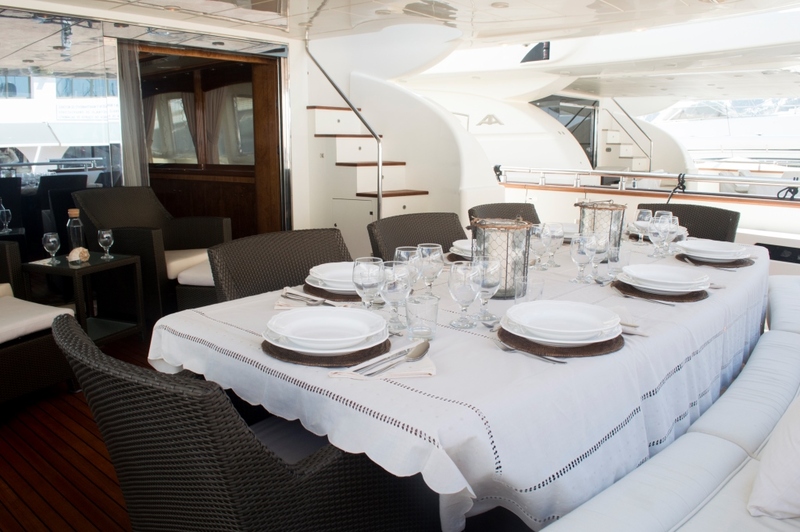 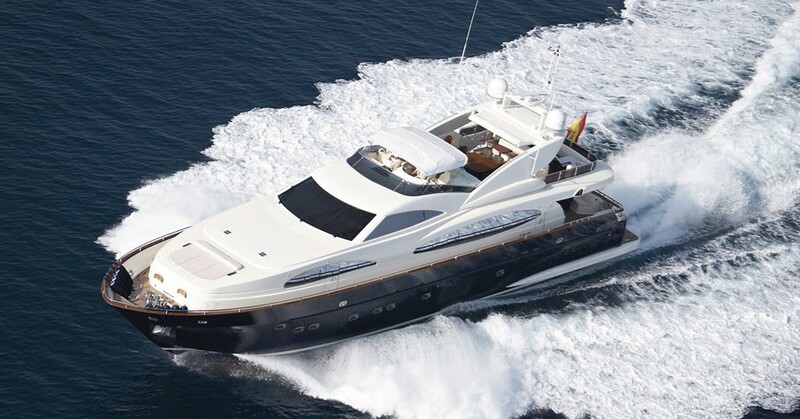 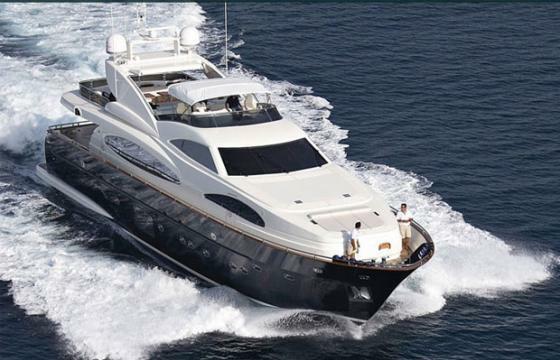 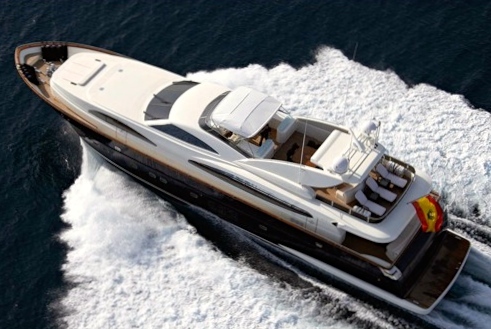 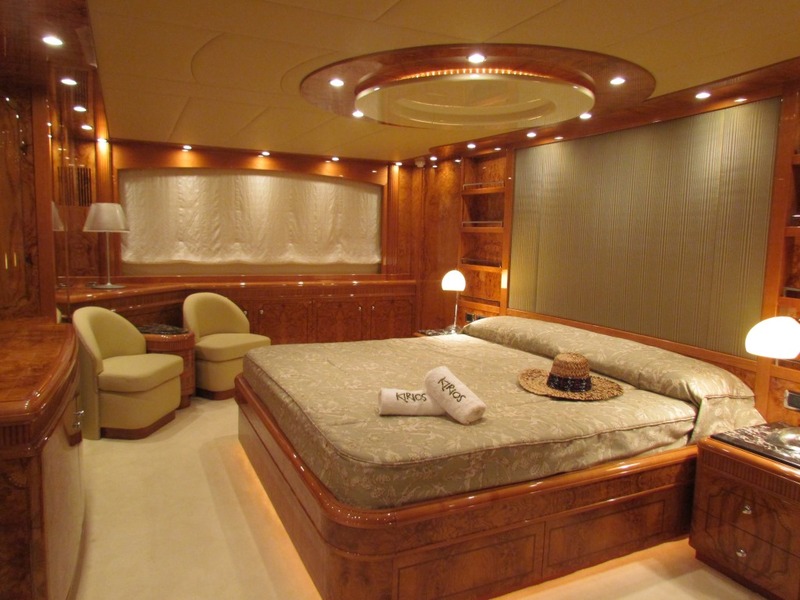 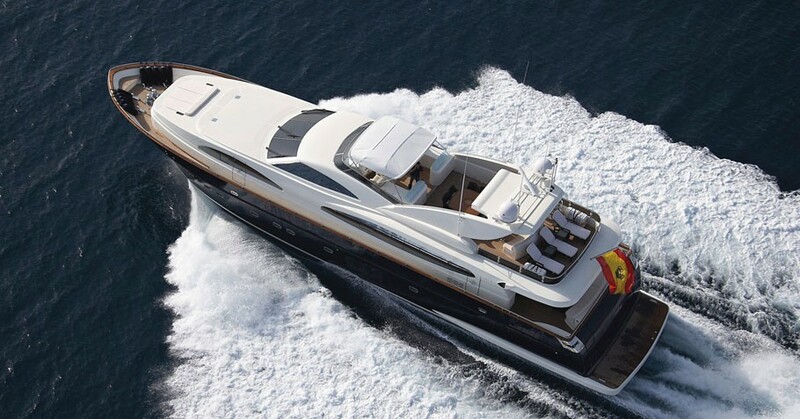 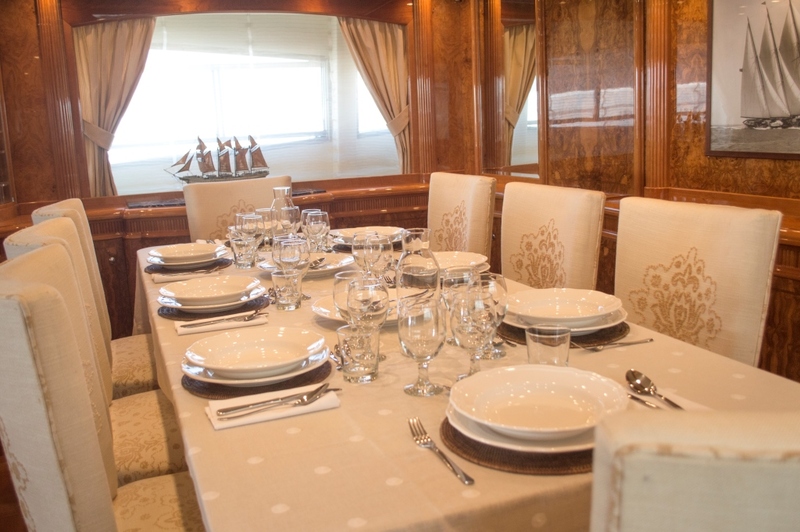 The KIRIOS motor yacht can accommodate up to 10 guests in 5 cabins and is based in Ibiza. 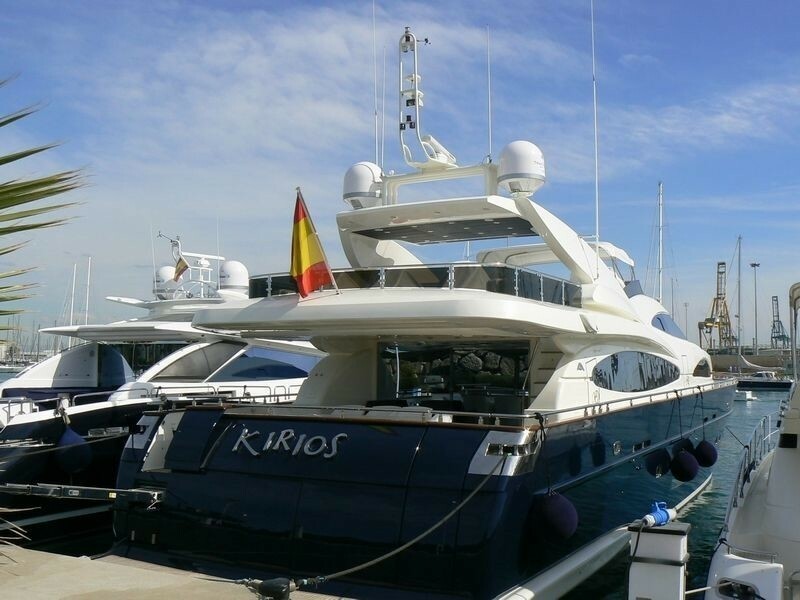 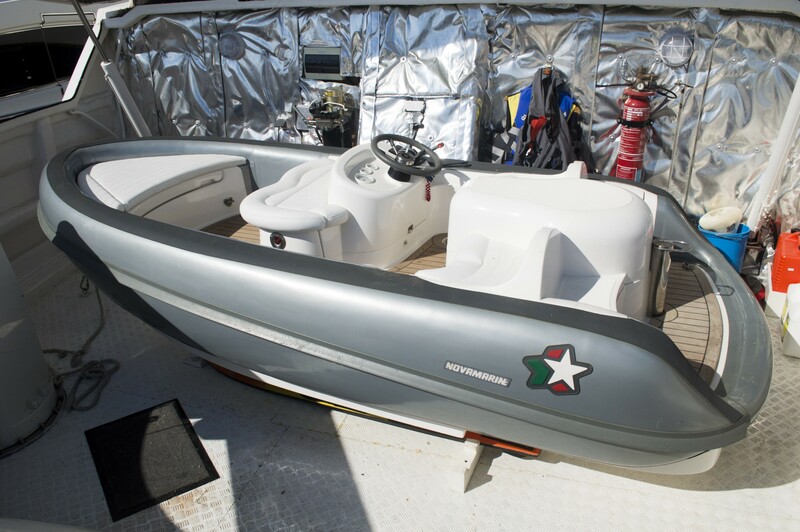 Motor yacht KIRIOS is a well proportioned composite vessel which was built at Astilleros Astondoa. 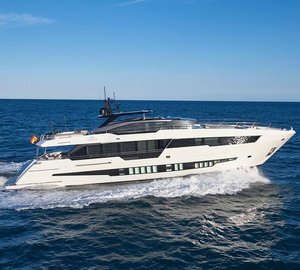 The Astondoa 102’ GLX design participates in the most recent trends but it has its own distinctive personal touches, which combine various aesthetic elements to create the yacht's personality. 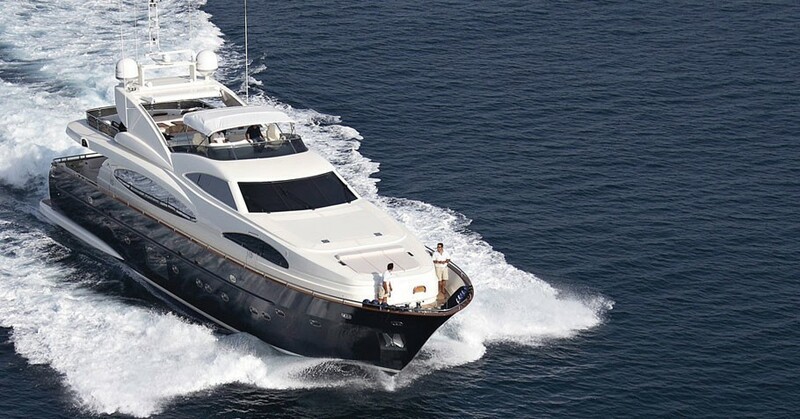 Motor yacht KIRIOS is classified as a raised pilot house yacht, with two and a half decks, with a command bridge located between the main deck and the flybridge. 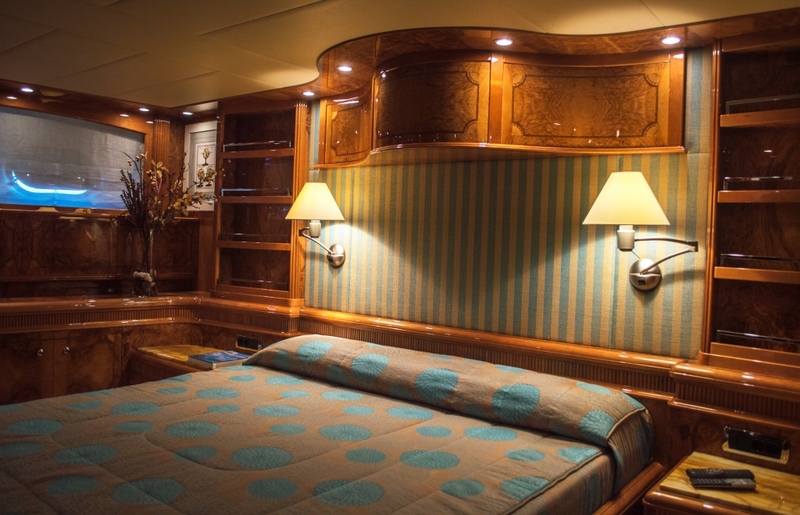 The KIRIOS Motor yacht 102 GLX profile features three large lateral windows, the largest of which illuminates the salon. 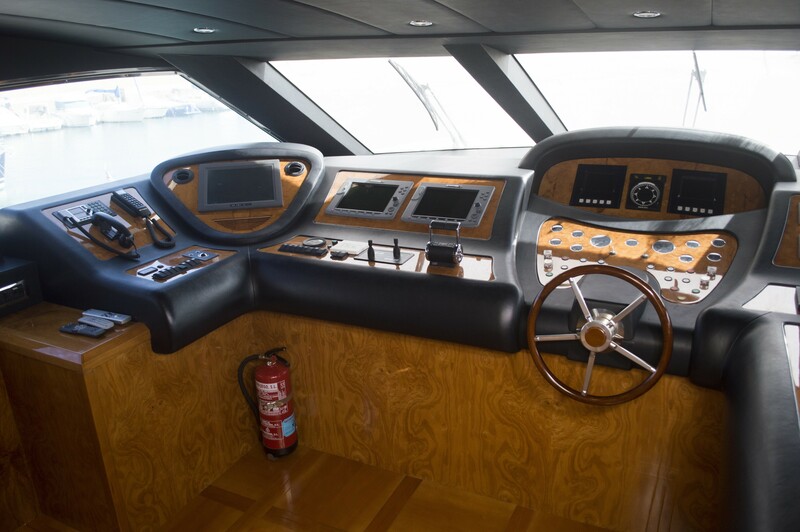 The window on the bow illuminates the service areas whereas the upper lateral window is the natural continuation of the windscreen of the command bridge. 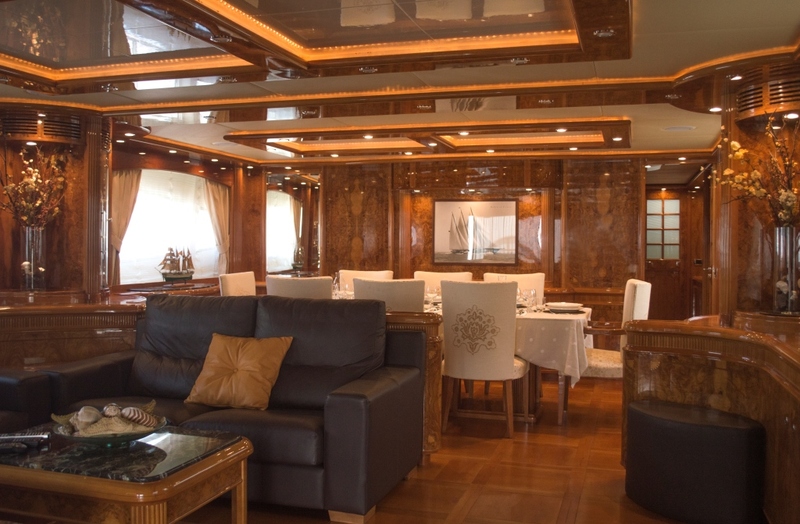 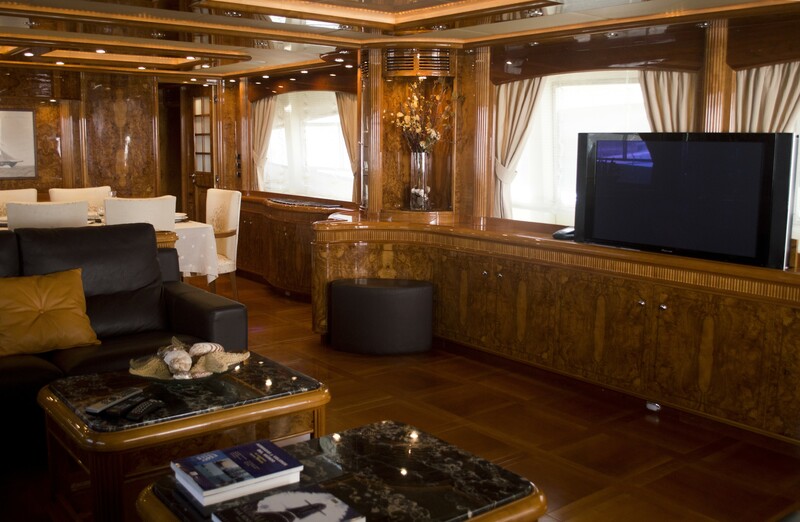 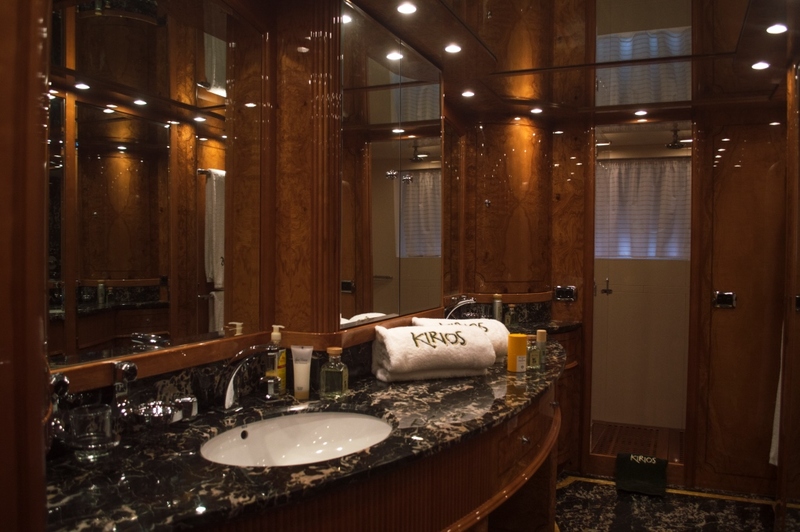 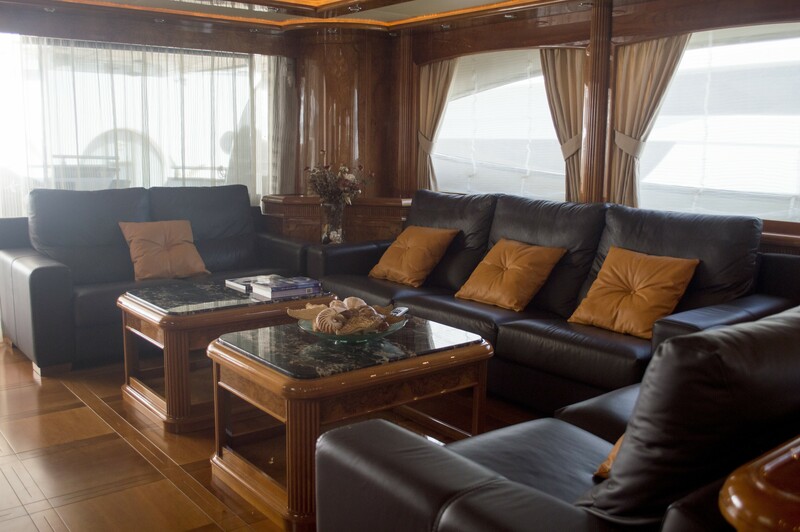 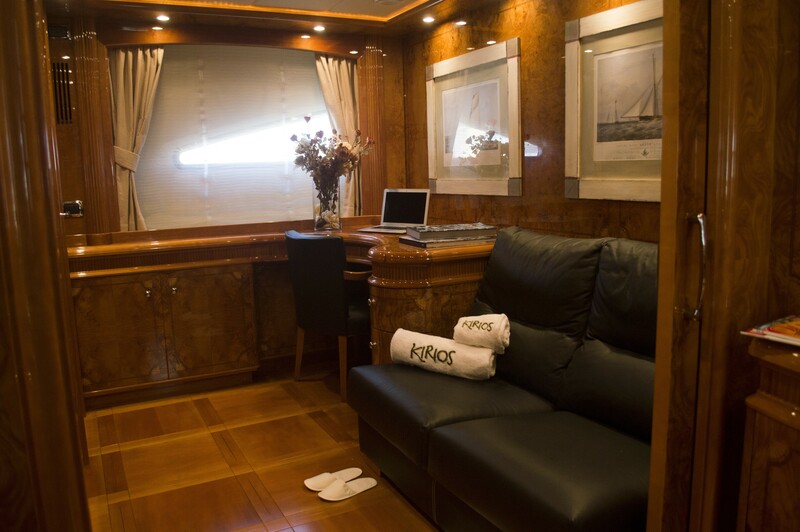 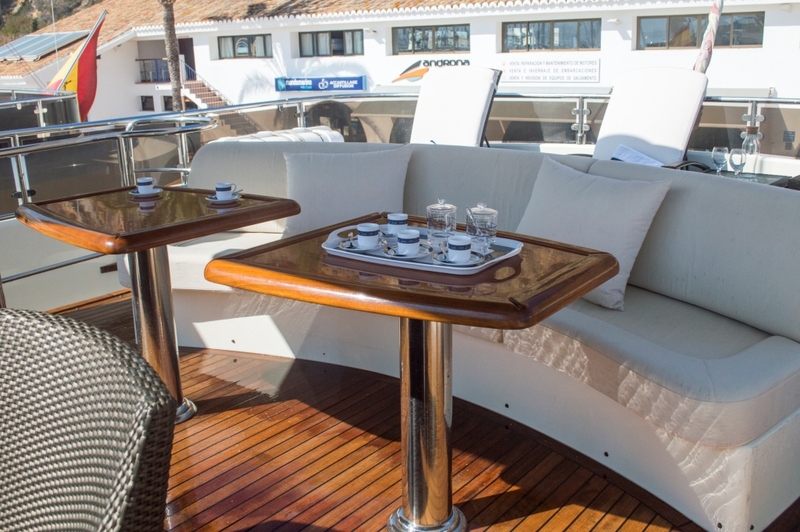 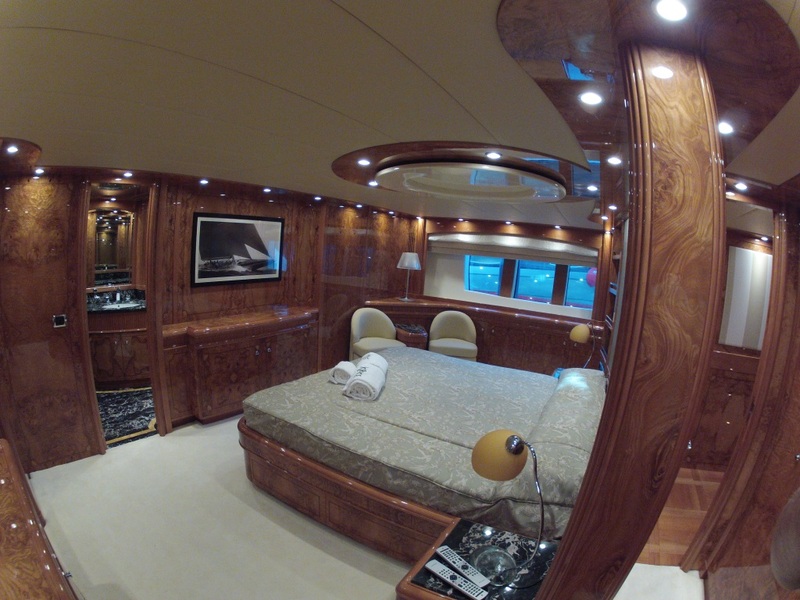 M/Y KIRIOS has an elegant and comfortable main salon fitted with wood floors and leather soft furnishings. The adjoining dining area is just forward of the salon where up to 9 guests can dine. 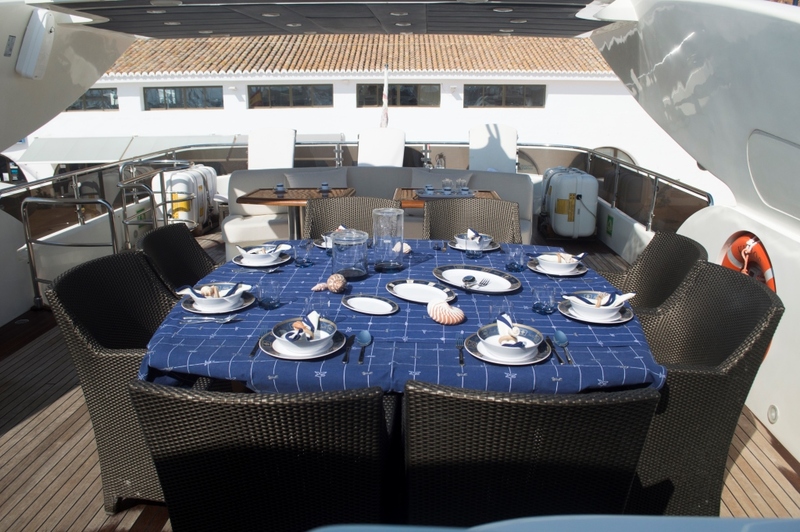 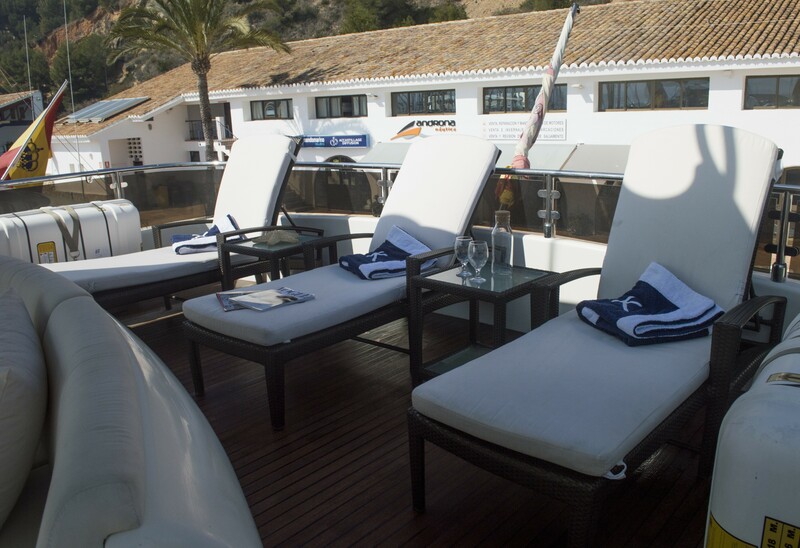 There is the opportunity to dine al fresco on the aft deck or on the fly bridge where there is a BBQ and sun pads to relax on after lunch. 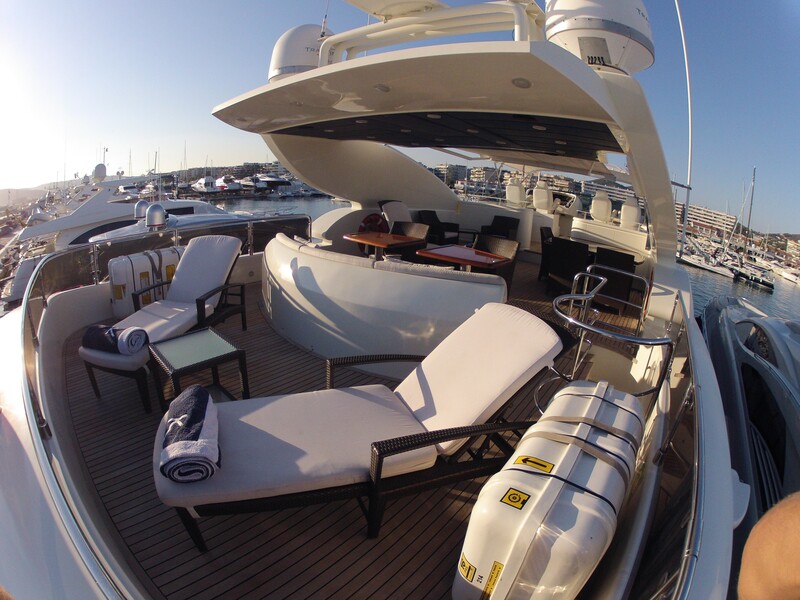 There are additional sun pads forward of the yacht. 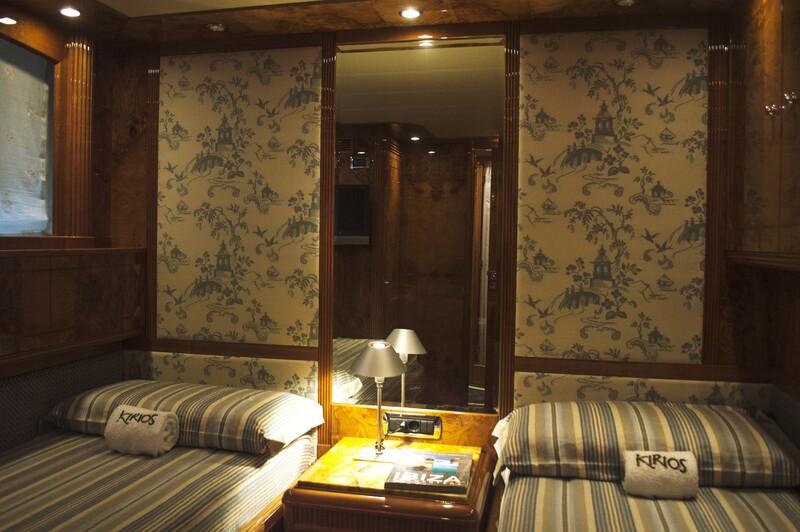 The charter yacht KIRIOS can accommodate up to 10 guests in 5 cabins including a master cabin with king size double bed and private ensuite, a VIP cabin with double bed and 2 twin cabins with single bed + 1 Pullman bed. 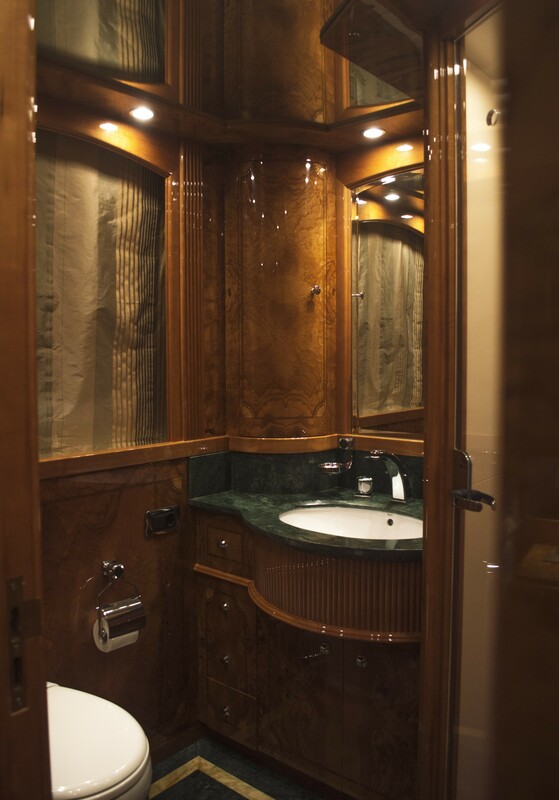 All cabins have an ensuite bathroom. 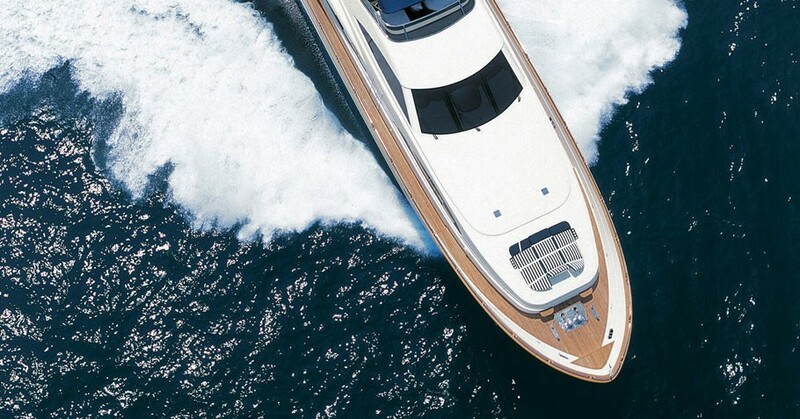 KIRIOS motor yacht is powered by twin 2000 hp MTU engines allowing her to attain speeds of an impressive 24- 28 knots. 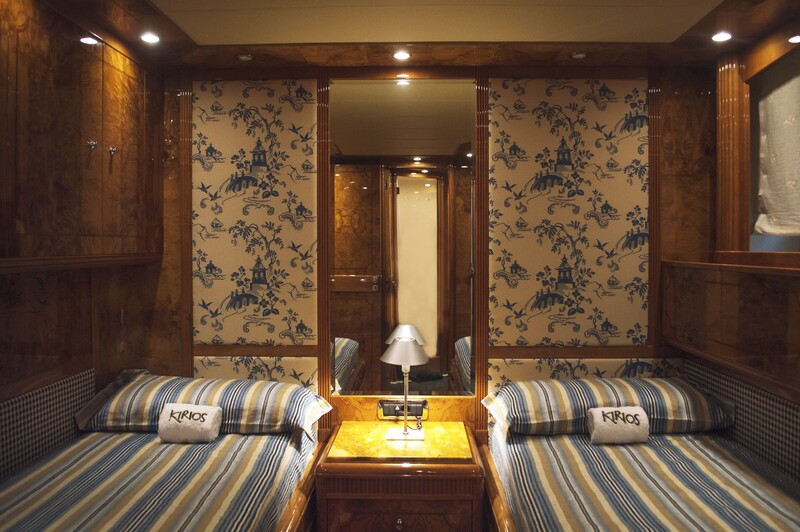 The luxury motor yacht KIRIOS can accommodate up to 10 guests in 5 cabins including a master cabin with king size double bed and private ensuite, a VIP cabin with double bed and 2 twin cabins with single bed + 1 Pullman bed. 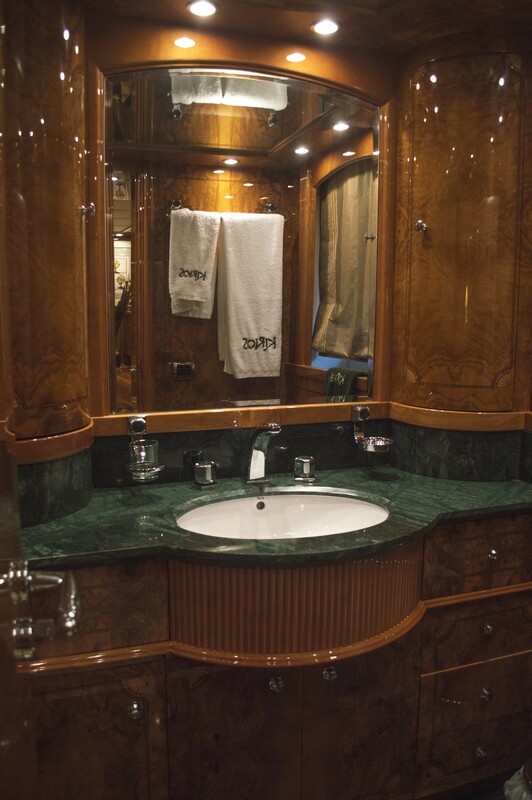 All cabins have an ensuite bathroom.